Hello Friends!! I am so excited to share with you today a unique one of kind jewelry line that is made to match your one personal taste, style & signature!! Yes, that's right…signature! Introducing, Centime: A gorgeous line of jewelry that prides itself on their affordable,timeless, and universally appealing designs that are handmade to become your own personal keepsake! 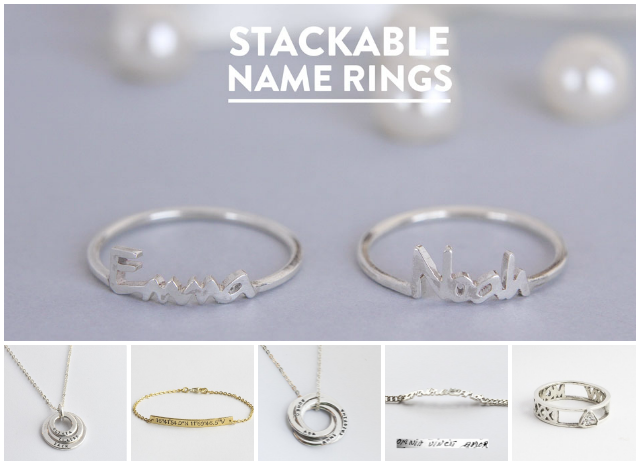 Their designs include everything from personalized poster art to Sterling Silver and/or 18K Gold initial/name rings, necklaces and bracelets. 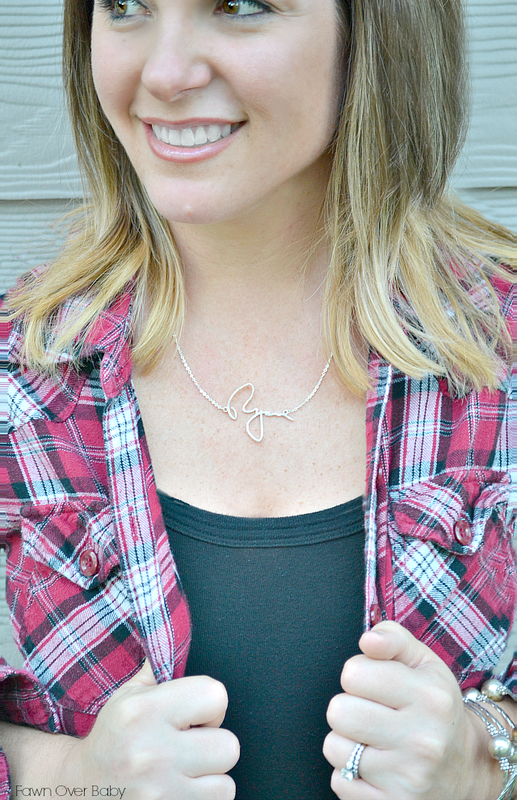 This wonderful line lets you be the designer and create whatever fits your personal style and/or sentiment. The best part about this line is that it is affordable! When it comes to gift giving, I am always on the hunt for something that bares a personal touch to whomever I am giving my gift to. Most of the time I fall short because the items I come across are outside my budget. At Centime, they "refuse to believe that budget should limit your imagination." 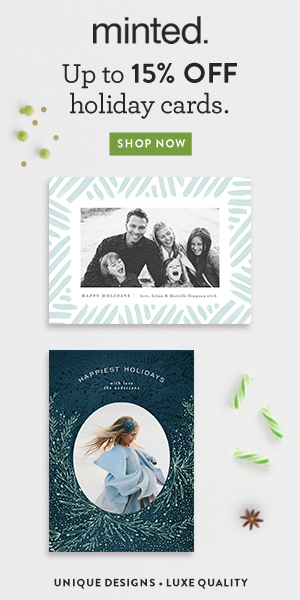 So you can imagine my excitement to finally find a wonderful way to gift a personalized item without breaking the bank! 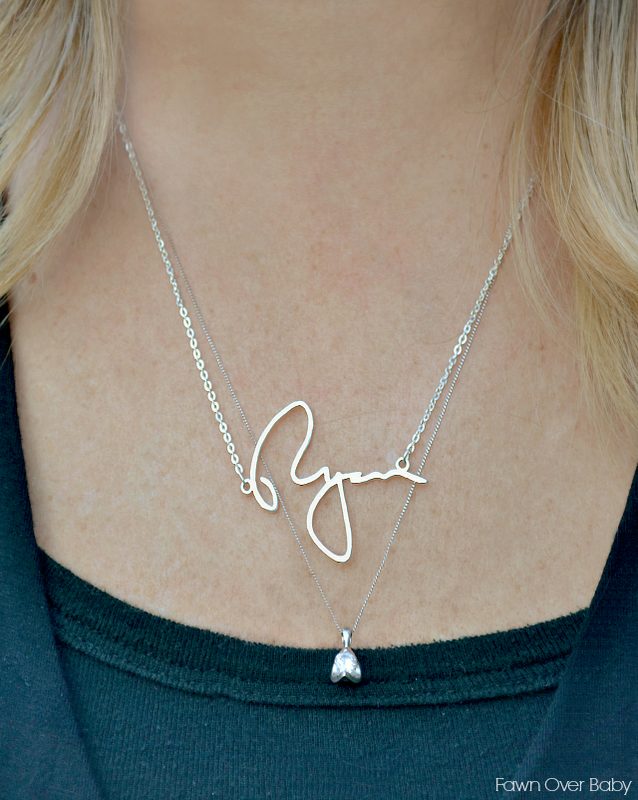 To create your one of kind handwritten jewelry pieces, you first handwrite your name or initial (or have someone else write their name or initial). 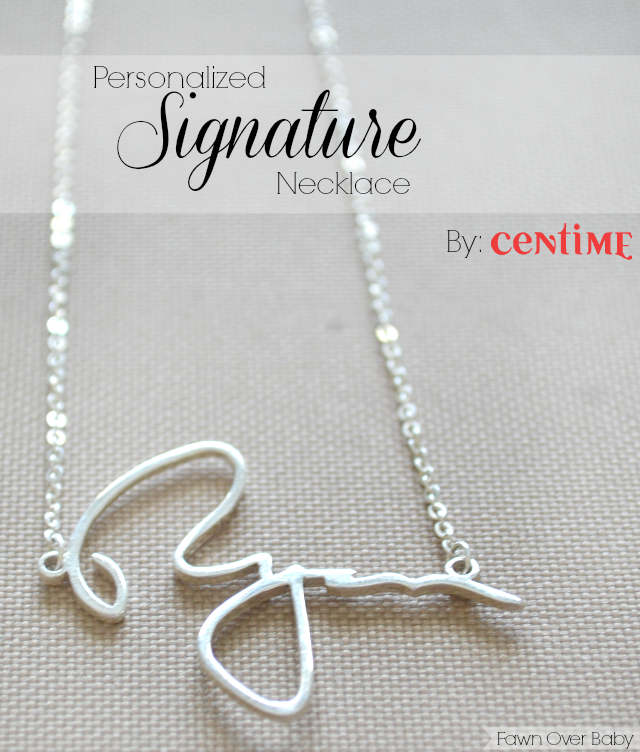 You then upload a clear photo of your preferred signature to Centime's online file.Within just a few days your custom personalized jewelry piece is perfectly matched and ready to be adorned! As you can see below, my husband's signature is spot on!! I am still so amazed how exact the necklace signature is to his original! Centime's line is available in all sizes and lengths so that it fits comfortably and nicely on everyone. For your convenience they offer a size-guide for rings, bracelets and necklaces, taking the guess work out of the size and length that best fits your style and taste! I chose the 18" chain length as I plan on layering with my diamond drop necklace which is a bit longer. Even without the extra layer, it looks so nice and makes a sweet sentimental statement when worn by itself. 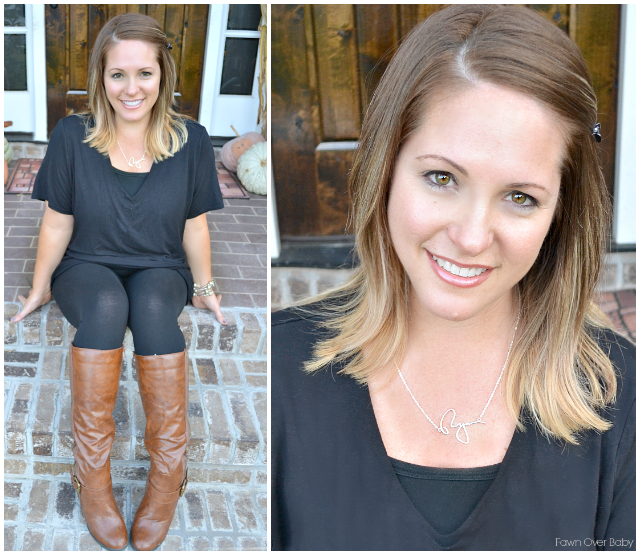 I am ecstatic over my signature necklace and I know you will be to! 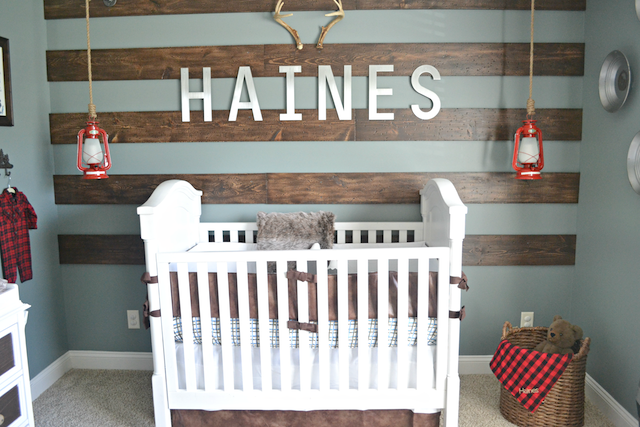 To welcome you to Centime Gifts, they are offering all Fawn Over Baby Readers 20% off your total purchase through November 30th! All you need is to enter discount code "SOFAWNED20" at checkout!